Sometimes I can be really late to the party. That’s the only excuse I have for not reading any of JoJo Moyes’ books until now. Thankfully, I’ve rectified that with The Girl You Left Behind, and you can guarantee that I’ll be making up for lost time by reading everything else she’s ever written. The Girl You Left Behind follows the stories of two women living nearly a century apart and the one painting that ties them together. In 1916, Sophie Lefevre lives in German-occupied France, while her artist husband, Edouard, fights on the front in World War I. Forced to serve the Germans every night in her family’s hotel, Sophie finds herself—or the version of herself featured in her husband’s painting—the unwelcome subject of the Kommandant’s attentions. With her family, her reputation and her husband’s life on the line, she is faced with the decision of how far she is willing go in order to protect the people she loves. In 2006, Sophie’s portrait is the most cherished possession of Liv Halston, a young widow living in London. A wedding gift from her late husband, the painting is Liv’s one source of happiness—until a court case questions the true ownership of the portrait, and Liv, like Sophie, must decide what she is willing to risk in order to keep what she holds most dear. 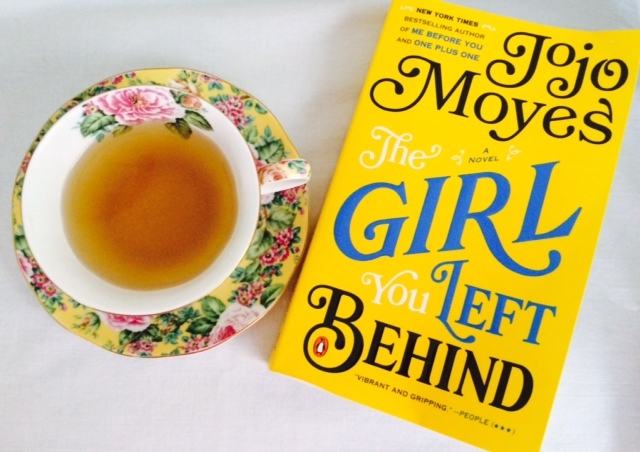 At its core, The Girl You Left Behind is a tale about the risks and cost of love, and the unwavering fortitude of women. I loved every minute of it. What’s wonderful about this book is that both stories are equally compelling, poignant and beautifully rendered. As engrossed as I was in Sophie’s need to ensure her family’s survival, I was just as caught up in Liv’s determination to hold onto the painting. While the stakes may seem drastically different in theory—one a legal matter, one literally a matter of life and death—the urgency of each woman’s situation felt just as critical. I found myself staying up until 3 a.m., unable to sleep until I got to the end and learned the ultimate fate of Sophie, Liv and the portrait. That’s a testament to how deeply I cared about these characters, how real they felt, and how perfectly Moyes depicted them. If you’re in the mood for a great story about the multifaceted power of love and the lengths we go to to protect it, pick up The Girl You Left Behind. Just be sure to have a booklight on hand for those “one more chapter” nights. For more on the fantastic Jojo Moyes and her novels, visit her website at jojomoyes.com. Don’t forget to check her out on Twitter and Facebook! How could I NOT read this after your wonderful review! Sounds amazing! Thank you!! It really is a wonderful book! I loved it!